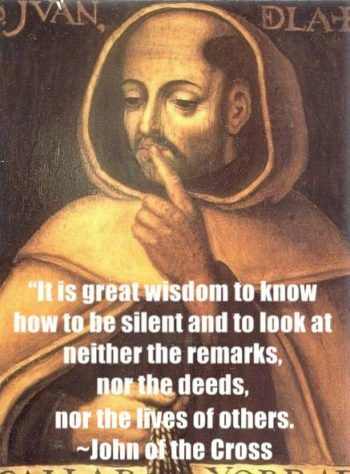 Spanish mystic, Carmelite friar and priest. After John joined the Carmelite order, Saint Teresa of Avila asked him to help her reform the movement. His life of poverty and persecution could have produced a bitter cynic. Instead it gave birth to a compassionate mystic, who lived by the beliefs that “Who has ever seen people persuaded to love God by harshness?” and “Where there is no love, put love — and you will find love.” John left us many books of practical advice on spiritual growth and prayer that are just as relevant today as they were then. These books include: Ascent of Mount Carmel, Dark Night of the Soul and A Spiritual Canticle of the Soul and the Bridegroom Christ.